Dr.Sopon Pornchokchai, President, Agency for Real Estate Affairs and President, FIABCI Thai would like to invite real estate developers, builders, consultants and related professionals to join the FIABCI Global Business Summit during December 5 to 8, 2018 in Bali, Indonesia. 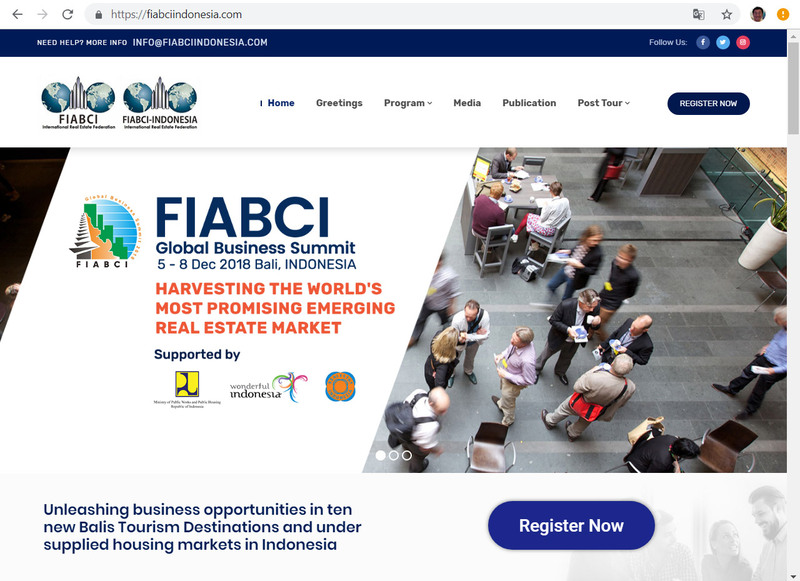 The summit is a part of FIABCI’s annual meeting cycles, and this year in Bali an in depth discussion about maximizing Indonesian business potentials in development of International Tourism Development and Affordable Housing will take main stage complimenting over USD100 billion government’s pledge on infrastructure development. The Summit themes are International Tourism Development and Affordable Housing. Indonesia with its vast and diverse geographic potential and natural wonders is also a paradise for tourists and visitors alike. Indonesia is now building tourism destinations beyond Bali. It is known as 10 new Balis. Investment opportunities are still widely available. The summit will discuss the opportunities in reaping the government’s vision to create a million affordable houses for this 4th most populous country in the world. Kindly register here: https://fiabciindonesia.com/registration-landing and inform us as well.